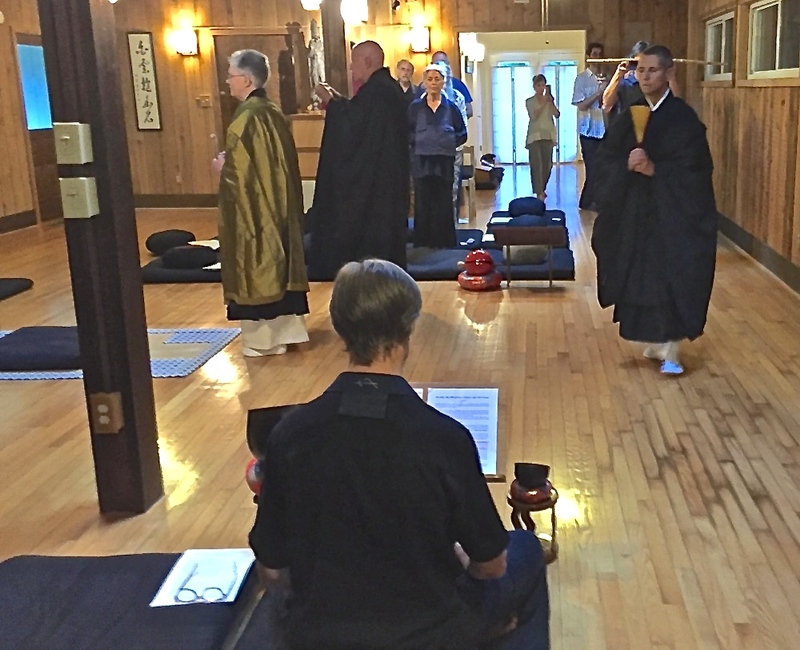 On Saturday June 25 shuso (head monk) Myomon Choro (“Subtle Gate, Clear Dew”) Carla Antonaccio participated in the Hossenshiki, or ‘Dharma Inquiry’ ceremony that concluded this year’s six week ango (practice period). 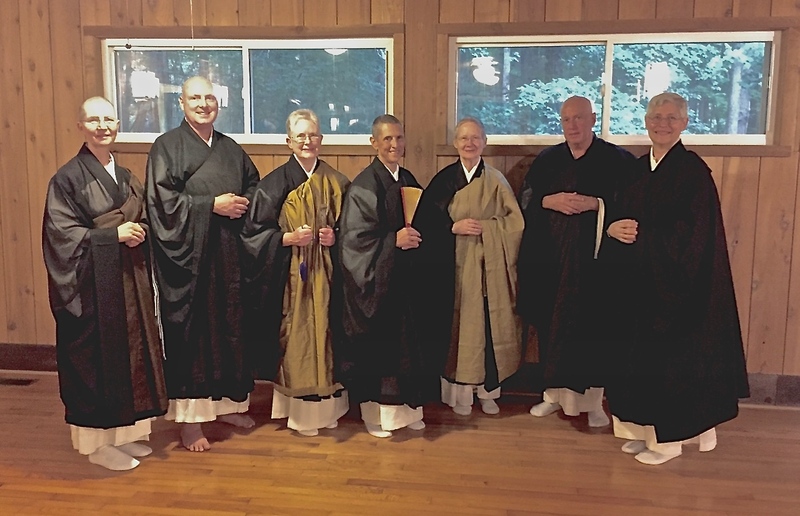 In addition to the practice period participants, attending and taking part were former shuso Kuden Paul Boyle who traveled from Ontario, Konin Melissa Cardenas, guiding teacher of Empty Hand Zen Center in New Rochelle, New York, and Dai-En Bennage Roshi of Mt. 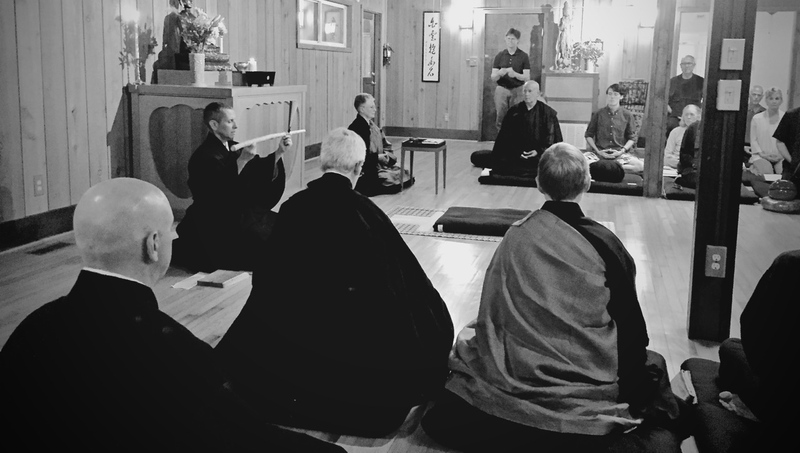 Equity zendo in Pennsylvania.After receiving the shippei (bamboo staff) from the teacher, the the shuso reads a case (koan) and at the end, comments on this case. Each participant asks a question and receives an immediate response. After making a ritual statement of apology for mistakes, the shuso returns the staff and congratulations are offered. The shuso makes several statements during the ceremony.